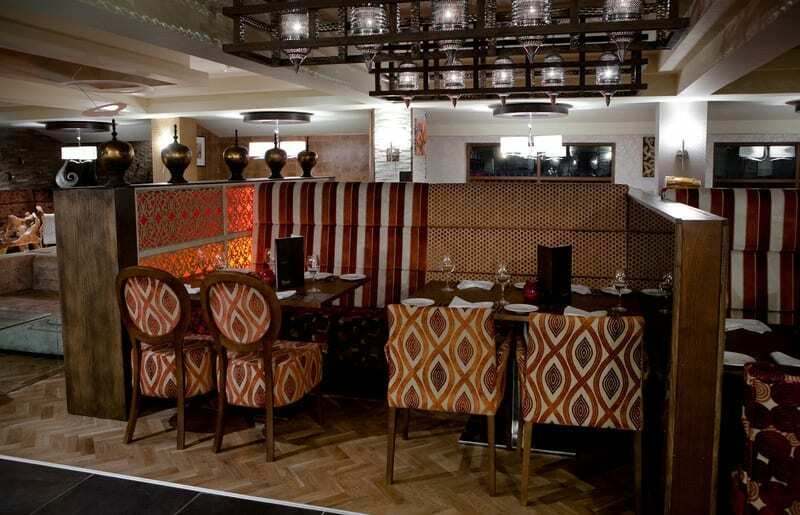 The new restaurant needed to welcome couples and groups of all sizes and provide them with a relaxing and comfortable setting, where they could enjoy authentic Indian cuisine. 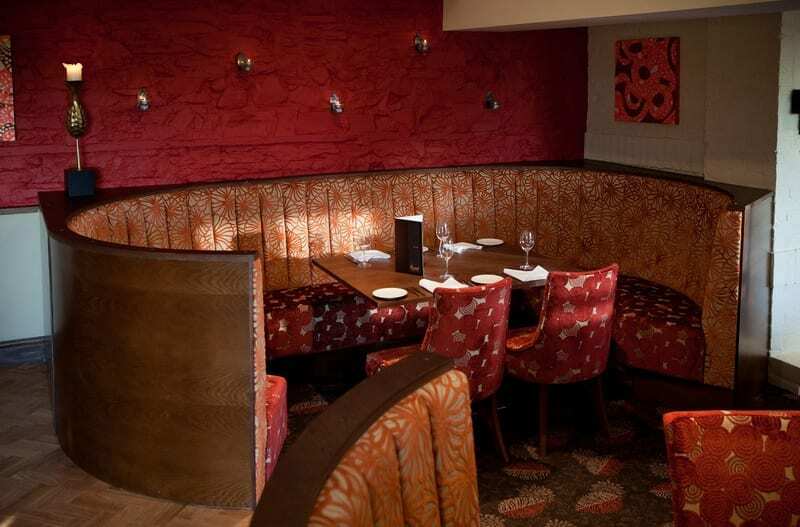 Space Furniture provided a scheme which included sections of straight and curved bench seating to create areas of privacy for groups of diners. 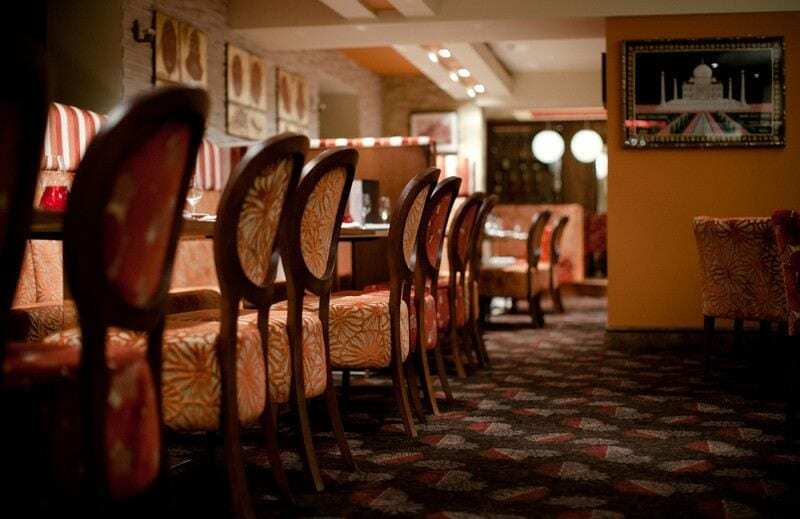 A split floor level leads to a private dining area where upholstered side chairs and rectangular tables can be added or removed, providing a versatile area for different sized groups away from the main restaurant area. 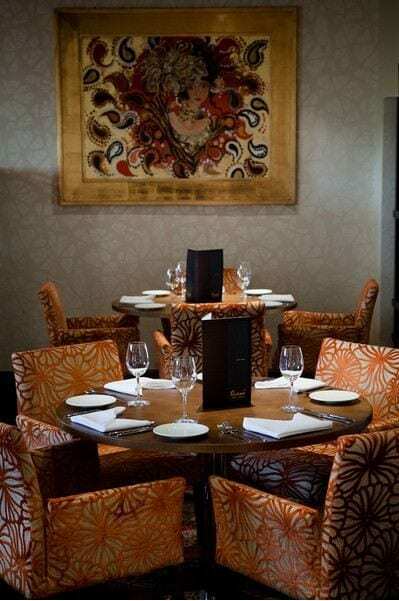 The specified fabrics matched tones used in the restaurants own wall art, bringing the scheme together and complimenting the natural wall coverings and neutral wall papers. The chairs and bench seating sections were upholstered in different fabrics to add interest to the scheme, while the colours were chosen using similar hues to ensure that the fabrics complimented each other. The scheme was further complimented by solid wood table tops which matched the veneered capping on the bench seating. 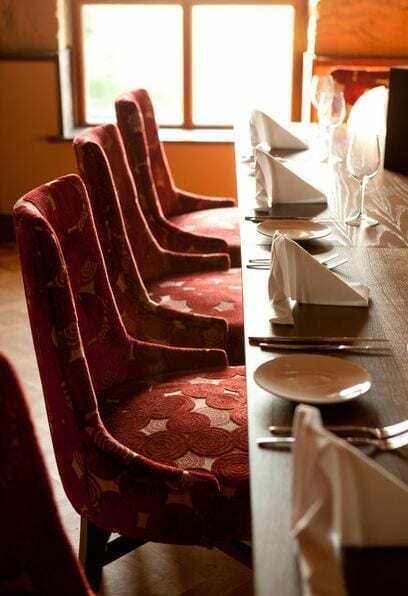 Straight and curved bench seating sections create private group dining areas. A mixture of upholstered chair styles defines and breaks up areas. Upholstered furniture compliments wall art, adding accent colours to the neutral environment.Rectangular tables can be moved or joined together for versatility within the scheme. 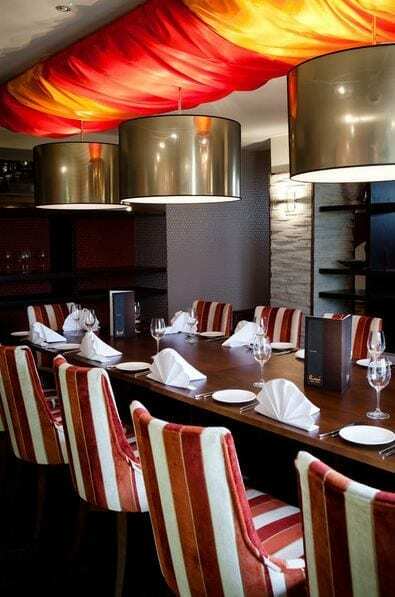 A mixture of patterned fabrics adds a striking feature within the restaurant.Using 3 main colours with a similar hue creates a unified, harmonious scheme.